I practice Yoga on average three times a week. I find that the breathing exercises and meditation practice have had profound effects on my well-being. I found myself at the studio nearly everyday during the last week before Christmas. I was inspired by the instructor who led us in our last class before the holidays. She had us in “Warrior” pose for a long period of time. She said that it was her favourite pose and that she loved feeling strong and feminine when holding this posture. For those who are not familiar with Yoga, this pose requires core, leg, and arm strength and an immense amount of concentration. This got me thinking about the concept of a warrior and what I had learned at a recent event. A few weeks earlier, I had the good fortune of attending an amazing business conference centered on Personal Development in Whistler, BC Canada. We had the opportunity to hear from an amazing speaker named Thomas Crum. 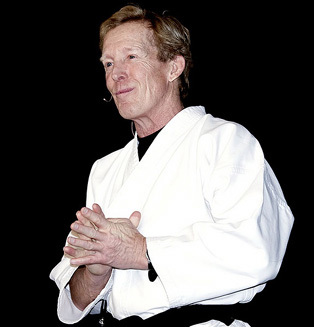 As an Aikido instructor, Thomas is very fluent in many breathing and centering techniques. He ended his presentation with his description of a warrior. He said something along the lines of….’A Warrior is someone who can cut through their stories to operate from a higher place of purpose.’ He used the word story to describe the legitimate or illegitimate excuses we make that hold us back in life. He said that in acknowledging and accepting those excuses we can move forward with a greater sense of purpose and meaning. Often times we look to reasons as to why we have failed in a certain area of our lives, or we allow situations or experiences to give us the excuse we need to keep from accomplishing our goals. Whenever I hold my Warrior pose now, I think of those words and meditate on my stories and how I can work on acknowledging them and carrying them with me in a productive and meaningful way so they do not become the reason why I am not living on purpose.